Global Heavy Chemicals Ltd., ( GHCL ) was incorporated on the 19th. September of 2000. In the beginning of 21st Century, GHCL starts its journey as the first private sector Chlore-Alkali Industry in Bangladesh. Significantly related to all the hopes and expectations of the new century, GHCL has energized the vision to open new horizon for industrial development in the country. Integrating the visionary imagination for basic industrial development in this country by our Founder Chairman Late Abdul Khaleque Khan, the successors have already established a number of innovative & import substitute industrial unit mainly in the pharmaceuticals and related sectors. Products of Global Heavy Chemicals Ltd., such as Caustic Soda, Chlorine, Calcium Hypochlorite, Sodium Hypochlorite, Hydrochloric Acid, and Hydrogen Gas etc. will be used as “building blocks” to other industries of various dimensions to manufacture thousands of products required in everyday life. Chlorine – one of our planets basic elements & among the top ten chemicals in terms of production volume. It is the single material on which production of 60% other commercial chemicals, 85% of all pharmaceutical basic raw materials and 95% of all crop protection chemicals depends. Chlorine-purified water hailed as one of LIFE’S top achievements of the millennium. Along with the discovery of gravity, printing and landing on the moon, the use of chlorine-purified water was recently named as one of the millennium’s greatest historical events by “LIFE” magazine. In the developed countries of Europe & North America ( USA, Canada) virtually all public drinking water is made safe through chlorination. One survey in 1992 revels that 92% of U.S public health officials agreed that chlorine is crucial to eliminate waterborne diseases and 87% of U.S public health officials believes chlorination as the safest way to assure quality drinking water. Every individual of Global Heavy Chemicals Ltd. will feel utmost satisfaction to be associated with the development process of other industries by rendering our humble service and high quality products. Global Heavy Chemicals Limited is located on the southern part of Dhaka district in Hasnabad union under Keranigonj Thana. Keranigonj is on the south bank of the river Buriganga and has got the unique tradition of developing different kind of industry. With the construction of first & second Bridge on the river Buriganga, importance of Keraniganj as well as Hasnabad has increased significantly. Hasnabad is located just on the Keranigonj side of first Bangladesh- China Friendship Bridge. Front office area including main gate, security house, guesthouse, weighing bridge & parking area. Administrative building including office block, canteen, workshop etc. 6.6 MW Power plant including Dissel Generator & Boiler house. 1800 MT water storage tank including two-pump house & cooling tower. Bi-polar membrane cell house including rectifier, rectifier transformer, DCS control room, anolyte & catholyte tank, de-chlorination building as well as quality control department. Utility building including DM plant, Nitrogen plant, absorption chillers & compressors. This block has got Hcl synthesis building including storage tank and delivery platform. Primary & Secondary brine purification area including Salt Saturator, Reactor, Chemical-Dosing Tanks, Main Clarifier, Anthracite Filter, Candle Filter, Polished Brine Tank, Ion-Exchange Resin Column and Purified Brine Storage Tank. Automatic Salt Washery unit, including separate storage area for raw & washed salt, conveyers, small clarifier etc. Chlorine Drying & Compression Building include Bottling area as well as four large storage tank and delivery platform. Caustic Evaporation and Flaking building including bagging and storage facility. Hydrogen gas Compression and Bottling building. Automatic Effluent treatment plant for industrial water treatment. Contact with vendors and suppliers. Soil filling and road construction. 4. Chlorine Drying, Compression, Liquefaction, Storage & Bottling Unit Of Nuberg Engineering 5. Pvt. Ltd., India in technical collaboration with Carbotech Induistriservice GmbH. Technical collaboration with Carbotech Industriservice GmbH. 7. HCl Synthesis Unit of Graphite (Carbon Everflow) India. India in technical collaboration with Carbotech Industriservice GmbH. 10. Automatic Effluent treatment plant for industrial water treatment of Nuberg Engineering Pvt. Ltd., India in technical Collaboration with Carbotech Industriservice GmbH. In this process it includes salt saturation, chemicals dosage, reaction and sedimentation. The purpose of this process is to re saturate the return brine with raw salt and to remove impurities from the saturated raw brine and as suitable feed to the secondary brine purification section. This section is provided to prepare and purify the brine solution and finally soften the brine as suitable feed to the bi-polar membrane electrolyser. Until the 1980’s all the electrochemical production of Chlorine and sodium hydroxide from brine solutions was carried out in mercury or diaphragm eletrolysers. Membrane electrolysers, which are now standard for all new plants, represent a third method which is very different from the other two. This section describes and discusses some of the principles of a chloro –alkali membrane electrolyser . It is not indented to be very detailed description , but it will serve as an introduction and generally further the understanding of the user. By sheets of ion exchange membrane. This membrane has the property of being cation perm selective. This selectivity permits the passage of positively charged sodium ions and associated water of hydration, but it rejects strongly the passage in both directions of negative charged ions such as chloride and hydroxyl ions. Strong brine is fed into the anode compartment. Chloride ion is oxidized on the anode to produce chlorine gas. The unreacted chloride ions leave the compartment as depleted brine. Sodium ions and water pass through the membrane as a flow of electric current into the cathode compartment. The water is reduced at the cathode to form Hydrogen gas and hydroxyl ion, the latter leaving the compartment as sodium hydroxide. To control the sodium hydroxide concentration at the desired level weak caustic is also fed into the cathode compartment from an external source. The exclusion of hydroxyl ions by the membrane are not total and some pass-through the membrane into the anolyte, this being observed as a loss of current efficiency. In the anode compartment the hydroxyl ions take part in various side reactions which produce low concentrations of by-products in the product streams. The anode, as is standard in modern chlor-alkali electolysers, is of metal fabrication composed of an electrically conductive substrate and mesh of Titanium. The mesh is covered with an electro-catalytic coating. A typical coating is a mixture of ruthenium dioxide and titanium dioxide. The pH is generally in the range 3-5 for all reasonable conditions. The formation of chlorate can occur by a) a chemical, and b) an electrochemical route, but the overall stoichiometry of these two is the same, and they cannot be distinguished. It is possible to alter the chemistry of a membrane eectrolyser anolyte by the addition of acid. This is usually achieved via the brine feed system. If acid is added, this has the effect of neutralizing a considerable percentage of the hydroxyl ions that diffuse through the membrane from the cathode compartment. Hence, the concentrations of oxygen, hypochlorous acid and chlorate are reduced because there are less hydroxyl ions available to consume the hydrogen ions produced in reactions. These reactions are therefore less favoured. As result the chlorine current efficiency increased, but the caustic current efficiency is unaltered. The amount of acid that can be added is limited by other factors such as the effect on the membrane of an excessively acidic anolyte. At very low pH protonation of the membrane occurs by electroysis of water thus damaging the membrane leading to rapid increases in voltage. The cathode is fabricated from Nickel. The mesh is grit blasted to produce a high surface area and then coated to reduce the overvoltage for hydrogen evolution. The principal reaction is the reduction of water to form caustic and hydrogen. There are no further significant reactions in the electrolyte. Flaking unit is the unit where the major product of this industry is processed and it is ready for shipping. In this unit the sodium hydroxide solution occurring at cell is concentrated at 48% and 98%. The 48% concentrated sodium hydroxide is liquid in nature and the 98% is solid as flake. Because of this it is named as flaking unit. The Caustic soda solution of 32% exited from cell stored at caustic storage through the catholyte tank. From the catholyte tank it is brought to the flaking unit. At first the solution is passing through the Evaporator-1. Here steam of high temperature is passing around the flow which increase the concentration of sodium hydroxide solution to 48% from 32%. This is sent to bottling unit after cooling by a heat exchanger providing feed water of 250c when there is any order of liquid caustic soda. This solution is then sent to the Evaporator-2. Evaporator -2 is a very Hi-Tech and efficient evaporator. It has an integrated electric burner. This burner heated up the salt solution. The salt solution is a utectic mixture of three different kind of salts which have high melting point. But if they are mixed in a ratios then their melting temperature become lower. This mixture is called utectic mixture. The salts are: Sodium Nitrate ( NaNO3), Potassium Nitrate (KNO3), Potassium Nitrous (KNO2) This solution is then circulated around the pipes of the caustic solution. The 98% solution of sodium hydroxide is then first deposited at a seal pot and then to the flaking machine. The bottom of it is bowled shape where the hot concentrated caustic solution is stored and due to the temperature gradient it becomes solids with the touch of the cool drum. Hydrogen gas produced at cell is sent to the catholyte tank. As hydrogen gas is very light and lighter than air so it is transferred through the hydrogen gas header. Then it is cooled at the cooler (CS-E-2320). Then it is passing through a hydrogen seal pot. Here process water is passing through it. After that it is passed through the mist eliminator (CS-F-2325) to remove the moisture in it. It is stored in the hydrogen gas holder which is sealed by water. HCl unit is one of the most important parts of the plant as HCl is one of the major products of this plant. The pant has the capacity of HCl production of 100 ton/day. But its present production is 60 ton /day. It can satisfy three fourth of the requirements of the country. From the cell the hydrogen is sent to the catholyte tank and from that it is separated and stored at Hydrogen gas holder. In the gas holder it is sealed by water. Then it is sent to the HCl process plant and it is passes through a moisture separator consisting of desiccated packed tower which absorb the moisture from the gas. Then it is fed to the HCl tower. On the other hand Cl2 from the Cl2 unit is sent to the HCl pant and it is also passing through the moisture separator though it is separated before. As chlorine is a heavy gas so it is sent by suction pump. Weak acid is also entered to the tower. It is also fed to the upper part of the tower. The HCl synthesis tower is made of graphite because of the super heat conductivity. Around the graphite column cooling water is circulated and it is covered by mild steel with rubber lining. At the top of the column the feed H2 and Cl2 with weak acid is entered and these are burned by the burner which produce temperature of 23000c. At this temperature the combustion begins. Here the ratio of Cl2 and H2 is 1:1.3. Then the demineralized water is added to the absorption chamber which makes the solution of 30-32% HCl from the gaseous HCl. Then the produced acid is stored in the acid storage tank and ready for supply through hose pipe. Most of the water entrainment in chlorine gas is trapped by mist separator and water vapor in Cl2 gas is condensed in chlorination tower cooler. After dechlorination de-chlorinated brine pH is adjusted by NaOH (30%) and treated with sodium sulphite (Na2S03) in order to chemically de-chlorinate and stored in return brine tank and then sent to salt saturator through heat exchanger. From the anolyte tank the Cl2 gas is separated from the weak brine solution and then sent to the chlorine unit. Here dehydrating tower is used to separate the moisture in gas. At first Cl2 is circulated through 78% sulphuric acid to remove the moisture in it. Then it is again circulated through 98% sulphuric acid to remove all the moisture if any exist. Then the concentration of the acid decreases and it becomes concentration of 78%. It is circulated at a pressure of 20-25 mmHg. The dehydrating tower needs to maintain carefully because moisture and chlorine gas make clogging in the H2SO4 separation tank and that increase the pressure of the tank which is very risky to operate and very dangerous for the plant. So is very necessary. To wash the tank at first water is circulated slowly then it is washed with 78% H2SO4. It is washed with water again . Then it is washed with 98% H2SO4. This washing required maintaining pressure at > 50 mmHg. It is negative because of suction operation. In the Freon compressor Freon-22 ( CHClF2) is used as Freon. It is sucked by the compressor and circulated to the surge drum. In this drum it is used to reduce the temperature . this reduction of temperature and increase of pressure by valves makes a temperature difference which liquefied the Cl2 gas. Then the liquefied Cl2 is sent to the Cl2 storage tank which is of 30 ton water capacity. Cl2 is stored about 70% of the total capacity because its reactivity is very high. In the storage tank chlorine is stored at a maintaining pressure of 2.5 kg/cm2. It is also maintained by feeding air to keep the pressure constant. In this unit Hydrated lime is treated with liquid Cl2 to produce Calcium hypochlorite which has a commercial name “bleaching powder”. The plant has a production capacity of 5.5 ton per day. But it is not a continuous process. This process is running when bleaching powder is required in the market. At first the lime is lifted up by a bucket elevator to the top of the reactor and fed to it. The reactor is a large cylindrical shape where an agitator is continuously agitated. The Cl2 from the chlorine unit is liquefied and sent to the reactor. It is handled very carefully because the liquid chlorine is very corrosive. Then it is sent to the reactor and the reaction begins. After the end of the reaction it is then passed through a belt conveyor. Here a pal visor is used to make the powder very fine. Bleaching powder is very dusty and toxic in case of inhaling so it is sucked by a suction pump to the packing and it is bottled in a drum by the worker wearing musk. In the Bleaching powder unit the drum of the bleaching powder is produced in this unit. This drums are produced by the mixture of low density poly ethelyne, high density poly ethelyne, pigments and recycled plastics. These are first crushed and then mixed in a pan. Then these are fed in a molding machine. From the molding machine the drums are manufactured. The drums of the sodium hypochlorite are also produced here in a different molding machine. The utility facility at Global heavy chemical is furnished to fulfill all the necessary utility requirement of the plant. a) Inert gas facility and Instrumental air used in the all instrument sections. By control we mean that the physical variables are kept constant as the desired value. This is generally done by measuring the instantaneous value of physical variable, comparing it with the desired value and using the difference to make a correction, which reduces this difference. It involves measuring, indicating, transmitting and controlling devices. Manual control: When the corrective action is carried out by the operator aiming to operate the process to a desired condition. Then it is manual control. In the closed loop feed-back control, a measurement is made of the process variable to be controlled and is compared with desired value. If a difference or error exits between the measured and the desired value, the controller takes necessary correction action. The concept of distributed control system, is as like as to the growth of management of a company from a small factory to a great multinational enterprise. The Management of the resulting company is both distributed and hierarchal. The distributed control system is one in which wiring for the groups of process parameters are connected to the process stations, are distributed throughout the plant at some strategic locations. No of process stations are dependent on process conditions and size of the plant. However, operator stations either in the form of back up control panel system or CRT based monitoring system can be incorporated for individual process stations. Operator stations which also CRT based system, are hooked up with all process stations either by a single co-axial cable or optical fibre cable called Data Highway. The microcomputer, like most computers, is composed of four sections, However it is composed of micro processing Unit (MPU), Random Access Memory (RAM), Read Only Memory(ROM), and Input/Output (I/O). The importance of protection and conservation of our environment and the need to restain human activities which lead to indiscriminate release of pollutants into the environment is vital.Under developed countries are striving for industrialization and each phase of the development will produce environmental problem particular to the level of industrialization. When these countries look for the solution, various experience and expertise that so far developed in the country will help to tackle the problem. GHCL has got very high commitment for pollution free environment. All the process water of the plant will be treated at our own Automatic Effluent treatment plant where we have two tanks, one for alkali dosing and another for acid dosing. The dosing will be done automatically as per the quality of process water and only the neutral water will go out of the plant. So there is no chance of pollution in the surrounding environment. The effluent treatment unit is capable to treat all the process water of our plant every day. The plant has a little pollution and that is not so harmful for the environment. The sludge from the clarifier is treated and excess acid is not let to go to the environment. It is then reacted with hydrated lime to form calcium chloride which is not harmful for the environment and drain to company’s own pond. But the Chlorine is handling very carefully Because it is very toxic and dangerous for human health and environment.If any leakage is found then the all valves incorporated with chlorine is closed and the plant become shut down. The Bleaching powder section is also very toxic. The workers should wear musk at the time of production. It can be entered to the body by inhalation. Industrial safety is the term consists of some precautionary measure that are observed by the people at the time of performing a job inside the factory with the help of some machine or equipment designed in such manner that can check the accident to be happened with a ultimate view to achieve the possible higher productivity. The Textiles and Dyeing sector in Bangladesh are playing the major role in the economy. It is a booming sector of Bangladesh and it require a huge amount of chemicals including Sodium hydroxide. The total requirement of caustic soda per Annual about 80,000 ton. And Global heavy chemicals Limited produces 20,000 ton per annum. So there is a good opportunity to set up this kind of Industry since it is the only industry in private sector. It is one of the modern factory in Bangladesh which is operated by DCS system which is used only in two Industry in Bangladesh including it. It is equipped with latest technology, machineries and facilities. This factory maintains an effective administration, securities and good labour management. So every year this factory fulfils the estimate production capacity. 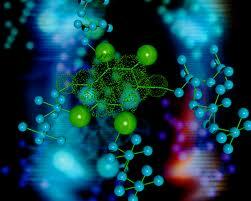 From this I have received a good concept on the latest technology of chemical process in this selective field. Besides that I can mentioned some machineries like Clarifier, Evaporator, Boiler, Ion Exchange column which I have only the theoretical knowledge before. In this report, I have tried my best to cover up all aspects of this plant including process chemistry and operation, utilities, environmental pollution, safety aspects, economics etc. Finally, the visit was an event of great success and sufficient significance from the both academic and professional view point. I hope the concerning authority will realize the prime importance of such type of industrial visit will take adequate steps to make it more effective in the years to come. What is Meant by Break Even Point?